It’s finally time to make this house come to life! 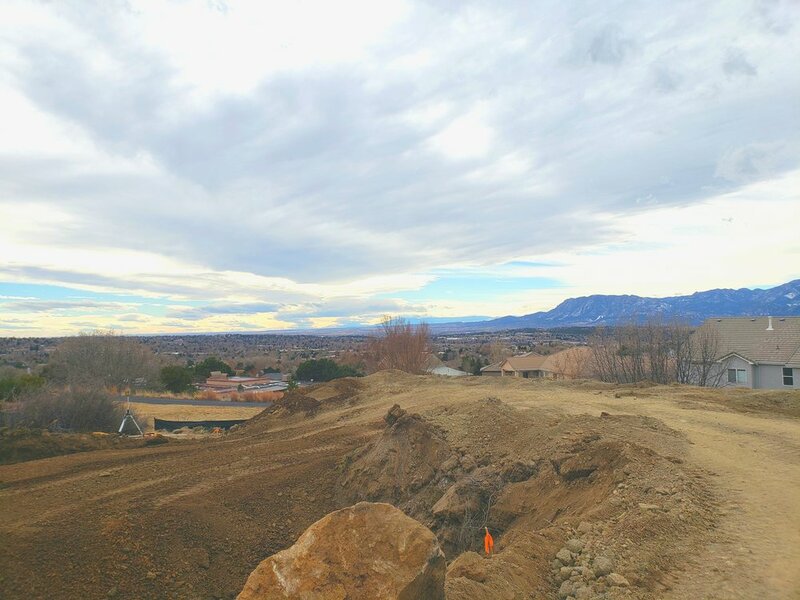 The mountain-chic Colorado home I designed for this wonderful family is being excavated and soon we will see some real progress! What a rewarding experience and we are so proud and grateful to be a part of it. Next step will be material selections and finishes to create an interior that the family will love! Success comes from a combination of traits, and characteristics and opportunities. We have chosen a career path that takes dedication, excellent communication skills, perseverance, determination, positive thinking and most of all deep passion for what you create. We have all that and more. Listen to this short interview to give you a glimpse of who we are and what we want to achieve and where we are coming from… Click the title above! Learn a little more about myself and what I stand for! The open concept floor plan is a wonderful concept for our modern way of life. It has been catching on since the iconic architects of the early 20th century. The ability to do so with large spans and the necessary technology as well as the revolutionary thinking of a different lifestyle, brought about an interior design concept that is implemented in renovations and new construction today, almost everywhere. However, there is a backlash to the openness and its popularity. Born as a residential feature, it has been experimented with and applied to work spaces, as well as restaurants and hotels. Now, in my humble opinion there are a few notions to consider and angles to explore, since absolute openness is not always the best way to go. 1. The open concept works great, when it's done right, and it always requires customization. 2. Just because something is 'in' doesn't mean it works well in any application. 3. An open concept is not just a cluster of different rooms into one big room, it is a flex-space which lends itself to a variety of different activities without being defined by boundaries. 4. The open concept still needs features to characterize space and different areas within a larger context to foster various atmospheres, ambiances and activities. Let's face it, we are not in need to have a formal living room and dining room that never ever gets used. Casual is how we live, or most of us anyway. Compartmentalized space planning made sense at a time where there was a division of activities within any household, if by social norms, technological abilities, or simply as an status symbol for luxurious living. The open concept existed then, but merely as a reminder of a low position in the social hierarchy. But it certainly was space saving and efficient, paired with a number of disadvantages of course. Today, we gather, we communicate, we cook, eat and watch TV together, all of it at the same time. We are living in flex spaces. Spaces that offer us a variety of different tasks to get done and the mobility to adjust spaces to our immediate needs. The degree of openness however is debatable and requires customization. We are all different, so our communal spaces need to respond to that. That's when the fine-tuning of interior design comes into play. I was recently in a newly built $2.7 million home. 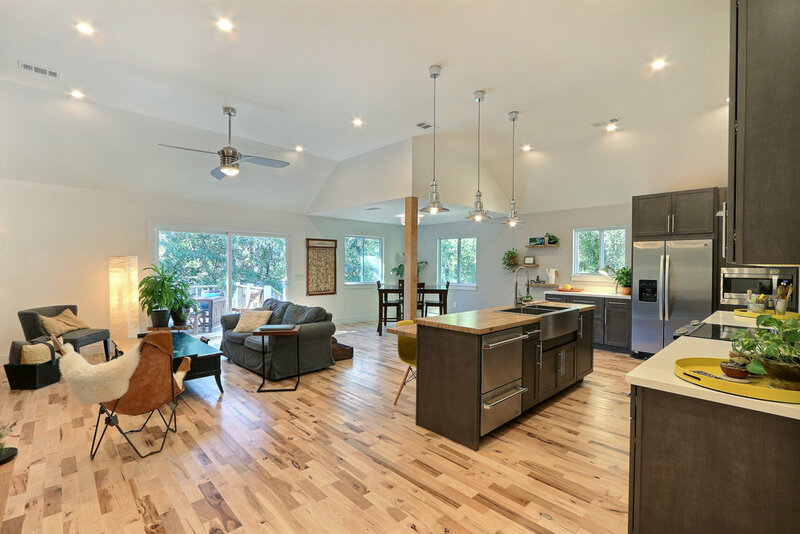 The kitchen, dining, and living area were located in one large square in the middle of the house with 20' ceiling height across the entire space. Everything within that space felt lost. There was no definition and no measures taken to nurture different moods, feelings, characteristics. It felt empty and cold. It was an open concept that was too open. And that's not what open concepts are about and what they aim to achieve. Have a look at a few different examples of flex-space concepts and how they approach different areas under one umbrella.